← Will Bananas Cause Weight Gain? Will Cutting 3500 Calories a Week, Cause One Pound of Fat Loss? Let’s start with some history. Max Wishnofsky M.D., conducted the original fat burn research in 1958. He published the 3500 calorie deficit formula which continues to be cited in thousands of educational websites, studies, and scientific articles. Dr. Kevin Hall challenged the formula and released a manuscript in 2007. He has redefined the 3500 calories to burn a pound idea. His paper is impressive with enough scientific data and formulas to stump even the brainiest nerd. We will not be jumping into math class right now but sticking with the discovery. Losing fat is a challenge. We have been under the impression simply subtracting 3500 calories per week, we would be able to lose one pound of flab. This is based on the old simplistic theory where 3500 calories represent only fat and not taking into consideration lean mass (muscle). New research takes all tissue into account understanding muscle is also lost during the calorie burning process. The amount of muscle lost depends on initial body fat level and caloric deficit. That means weight and fat loss calculation will differ from person to person. For example, a lean person will tend to lose more muscle and retain fat while an overweight person will lose more body fat and retain lean mass. This is why an overweight person can better tolerate lower calorie diets and the opposite applies to a lean person. However, restrictive diets are not recommended for either since they’re linked to eroding muscle tissue. The original 3500 calories to burn a pound theory needed to take into consideration fat and muscle metabolize (use) energy at different rates. A pound of muscle is not 3500 calories but approximately 600 calories. If you applied a 3500 weekly caloric deficit and lost 100% muscle hypothetically that would equate to 6lbs. This would be ludicrous and the takeaway to remember is lean mass loss equals greater weight loss. Losing lean mass is what we’re trying to avoid. If you created a 3500 caloric deficit and lost 100% body fat then you would lose one pound of fat. Again, this is impossible because both lean and fat tissue are lost during the weight loss process. Other factors implemented in the new formula applications are caloric deficit adjustments as body weight decreases and energy levels decline. In addition, studies recommend stimulating more fat loss to lean mass through progressive resistance training and higher protein intake. Does this mean throwing the old 3500 calories to burn a pound formula out the window? No. Lots of great research went into creating a basic way to figure out daily caloric requirements. Using the 500 to 1000 calorie per day deficit does provide a generic guideline for losing 1 to 2 pounds per week. This post appeared in verywell.com and tries to clarify a few points about an old theory. Cutting calories will cause you to lose a few pounds, but this theory is from 1958 and back in those days we didn’t have the amount of processed foods on the market like we have today. 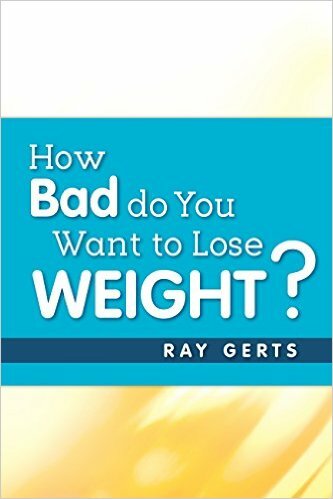 Because 60 years has changed our diets completely and the fact that obesity today is the number cause of most of our health problems wereas 60 years ago obesity was only about 1% of our population, the idea that simply reducing calorie intake by 500 calories a day will cause you to lose fat, is rediculous. Today, the average American consumes 3500 calories a day. In 1958 the average American consumed about 2000 calories a day. Today, if you want to lose fat, you have to quit eating processed foods and start eating whole foods, fresh foods and quit drinking bottled and canned drinks that add calories to your diet. If you really want to lose your body fat than look for my Ebook at the websites listed below. You’ll get information on Healthy eating, exercise, and diet.